It was a law book Alexis Morris picked up in grade school that started her interest in the law. After something occurred in the classroom, she remembers her teacher pulling out an education law book from her shelf and then starting to read from it to the students. She then went to look at the book closer after class. "I remember I was really interested and intrigued by what she was saying. It sparked my interest in how the law was intertwined in everyday life. That evening I went straight home and asked my parents for law books for Christmas," laughed Morris. "I didn’t get them, but that’s okay!" From that moment her interest in the law never waned. "You don’t really realize how much laws impact you in your day-to-day life," explained Morris. "I think it's sad how many people don't know what they should know, or understand what they should or shouldn't be doing or saying. Many times people are inadvertently hurt, and negatively impacted by not knowing their rights." Being the daughter of educators, her parents instilled a sense of hard work, and the belief that knowledge is empowering. Her parents also inspired the value of helping others. Morris is very familiar with excellence and high achievement. Having already managed to finish her undergrad in two years in her eagerness to start her legal education, she looked into law schools. It was WMU-Cooley's flexibility in scheduling, and the fact that she didn't feel pressured to do a certain type of schedule or take a predetermined number of credits that made the decision easy for her. "I didn't want to overload myself," reasoned Morris. 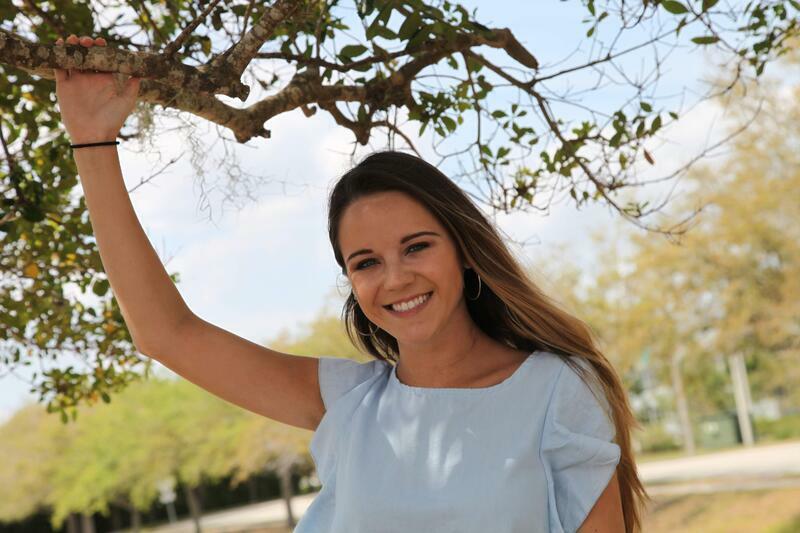 "When I toured WMU-Cooley's Tampa Bay campus, I didn't feel claustrophobic about my class schedule. My schedule was up to me. I had the choice of doing what I was most comfortable doing. Most law schools don't give you any options. I felt more relaxed and unpressured, not to mention, coming from Illinois, I liked the idea of living in warm and sunny Florida!" Morris was also stressed about coming to law school as a 19-year-old. She worried about how her peers would treat her, believing most law students would be in their mid to late 20s. She thought it might be a disadvantage and that she would be underestimated because of how young she was. She wondered if her professors and other students would think she wasn't ready for law school. "I worried about things, but the way I decided I would deal with it was by proving to myself and others that I really could do this," asserted Morris. "That worked! Now as a rising 3L student, I have booked over half of my classes, which is so rewarding and confidence building. 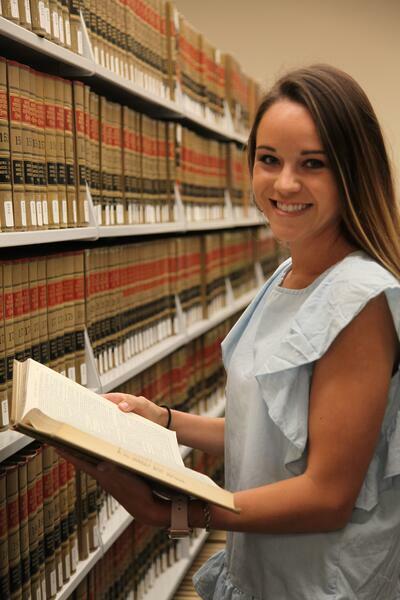 "I didn’t realize how much I would really enjoy law school, the people, and the classes. Obviously everybody is nervous and scared before law school because it’s held to such a high regard. You think it’s going to be so hard and difficult, and it is, but I really enjoyed my classes and my professors." Making high grades is something Morris expects of herself. After her first semester, she got three A- and an A, which would sound very good to most law students, but Morris was disappointed. She thought she could do better. "After my first semester, I really figured things out," declared Morris. "I took it upon myself to change everything I did in how I studied. I was driven to put everything I have into everything I do. Second semester I booked all four of my classes, and I have continued to do what I have been doing to be successful in law school." What were those changes Morris made in her study habits? "This is going to sound crazy," laughed Morris, "but I didn’t do any outlines my first semester. Mostly because I didn’t really know how to take effective notes, or do an outline. I studied off notecards. I think that's why everything was jumbled in my mind. I didn't know how to fit the pieces together. "By second semester I learned how to take more effective notes and to outline correctly. Then after every single class, I would take my notes and write my own outlines. I would only make notecards based on what I would need to memorize. I recognize that some law students may use others' outlines or notes, but making sure I did my own notes and do my own outlines is ultimately what helped me most in being successful in law school." Why is writing your own outlines so important? Morris explains it this way. "Some people don’t realize this, but when you’re typing or writing out your own notes, that’s your own thought process and your own words that you’re putting down. So later when you go back to study, it’s easier to recall the exact moment when the professor was talking about it, and exactly what they were saying, because you wrote it down in the ways you perceived it. By contrast, when you’re reading someone else’s you don’t know where they got that from, where the idea came from, or how they formed that thought. You don't know if those things are what your professor thinks are important." She would add that law students need to stay on top of things week-to-week. "Don't ever fall behind - it's too hard to catch up. Do your own outlines, take your own notes, put your phone away in class, and pay attention as much as possible. Don’t let yourself get distracted during class and do as many multiple choice and essay practice as you can." Part of why Morris has found law school so enjoyable is because she has enjoyed all the professors. She says what she most likes is how the professors take the time to meet with you and talk to you after class. They never talk down to you. Although each of the professors may teach in their own way, she say they all are accessible and helpful with students, even when it comes time to study for the bar exam. "I genuinely enjoy law school and studying. I know that sounds so nerdy but I really, really like this. And I love WMU-Cooley because they have allowed me the flexibility I needed to excel. They have shown me the kind of respect that I think sometimes is hard to get in law school, especially coming into this as a 19-year-old. I immediately felt like an equal here." Whatever Morris does next, we know she will do it with zeal, putting forth nothing but her best, no matter what it is. "I think going through life, in my education, in sports, or even anything extracurricular, I’ve always tried to put in everything that I can," shared Morris. "If it doesn't work out, that's all right because you figure out what you like and don't like. I think that's especially true in law school. You have to love what you are doing and want to put in the work. There can be no shortcuts." As a young woman attorney, Morris is again ready to prove herself. "I think a lot of times men aren’t pushed to make necessary changes because they are more comfortable in the ways of today, but I see women trending now and women are go-getters, with an inner perseverance that is rising. It's exciting to see the passion with women in the legal field today."